A Co Antrim road has been closed following a serious one vehicle crash. The Moira Road, Glenavy is closed at its junction with Carnkilly Road. 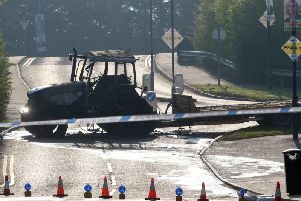 Police have said a section of the road will remain closed for several hours. Drivers are advised to follow diversions, which are in place at the junctions of Moira Road and Main Street, Glenavy, and Moria Road, Carnkilly Road.